Aromatherapy is the use of smell for therapeutic purposes. It includes massage treatments as well as the use of oils in a burner, for inhalation, in products and compresses. 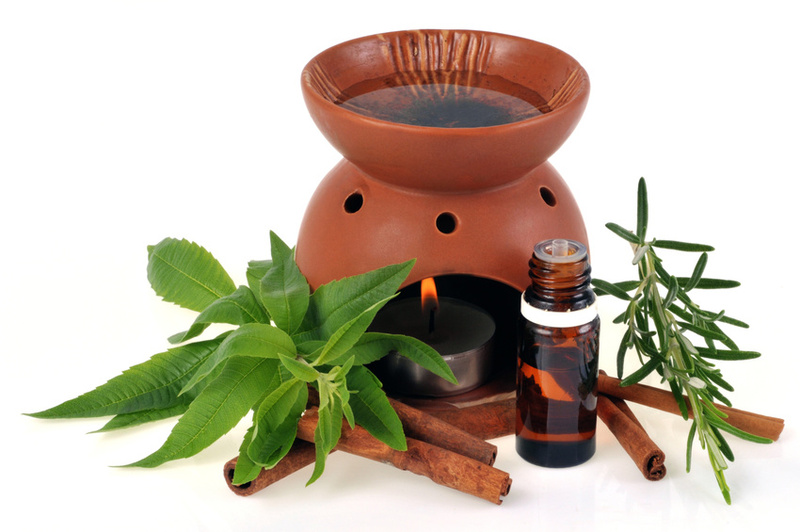 The use of aromatherapy in traditional Indian medicine can be traced as far back as 3000 BC. During the 1950s Marguerite Maury developed the use of aromatherapy as the therapeutic treatment we are familiar with today. Aromatherapy massage can be performed as a full body treatment or focused on specific areas. The Aroma-Calm is a full body aromatherapy treatment designed specifically for the client and targeted at releasing stress and tension throughout the body. Beginning with an aromatic foot soak and finishing with a divine scalp massage let the essential oils transport you to a haven of total relaxation. You will need to fill out a health consultation prior to the start of your treatment. This is to check there are no contraindications to you receiving aromatherapy massage. The therapist will also ask what you would like to gain from your treatment i.e. whether you would like to feel relaxed or energised so they can blend an oil to suit your requirements. if you would like to book an Aromatherapy Treatment or purchase a gift voucher please get in touch. Full payment information here. If you are in need of some TLC and relaxation an aromatherapy massage might be just what you need. Aromatherapy massage is a very powerful therapy combining massage technique and potent essential oils but is generally considered a far more gentle treatment than Swedish massage as it works with the energy flow of the body. Essential oils used in aromatherapy have different properties which when absorbed into the body can be used to enhance your wellbeing, for example lavender essential oil may be used for a calming effect whilst lemongrass essential oil may be used to uplift. An aromatherapist is trained to blend oils specifically to your needs taking into account any aches and pains along with how you are feeling emotionally and mentally. The treatment will usually be performed whilst you are lying down on a treatment couch and depending on the treatment type the massage can last from approximately 30 minutes to 75 minutes. Once the treatment has finished it is recommended that you drink plenty of water and relax for the rest of the day. Depending on the oils that are used it is common to want to sleep or rest after the treatment. Always listen to you body! It is also important to avoid alcohol, nicotine and caffeine after a treatment as your body rebalances. If you are able to resist a bath or shower for 24 hours it will allow the oils to be fully absorbed into your skin and for you to gain full benefit from their properties.